This is one dynamic dolly, guaranteed. Get Innovative! This versatile truck bed repair stand fits any size bed. This is one dynamic dolly! Guaranteed. Super adjustable, strong, stable, and storable. Perfect for the collision services and auto body professional. 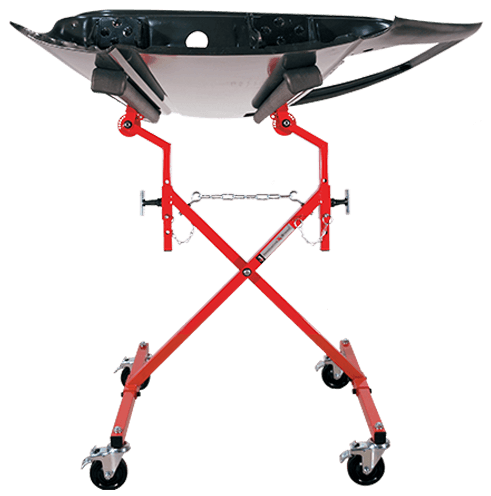 This auto body repair stand features easy, 4-way adjustment to fit any size truck bed and also holds panels and hoods. The industry’s only freestanding folded-storage design. This is a highly versatile repair stand. The stand works for truck beds, hoods, trunk lids, van doors and more. 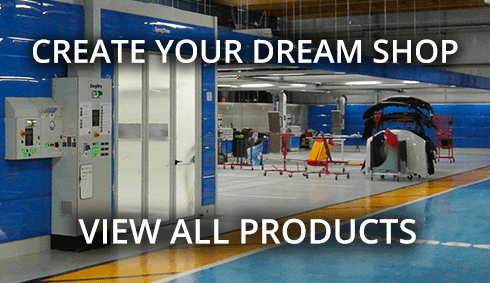 Innovative Tools recommends one Truck Bed Dolly for every 2 active jobs in most collision services shops.